Marshall passed away on September 26, 2012. He was born in Hershey, PA on December 4, 1920 and at the age of 2 years became an orphan. Educated in Hershey’s Boys School, Marshall overcame many obstacles, and his perseverance and love of skating provided him with a passion and direction that changed his life. Marshall enjoyed a remarkable skating career that spanned several decades. 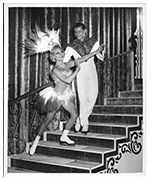 I first met Marshall in the summer of 1952 during rehearsals for the Sonja Henie Ice Revue in San Bernardino, CA. Over the next five years with Sonja we toured the States, Canada, Europe, and South America. On our first European tour with Sonja, Marshall and I both purchased Rolleiflex cameras in Berlin and we both had movie cameras and were out often together on photo expeditions. This was a dream tour playing Paris, London, Berlin, Stockholm, and Oslo. Our two month engagement in London coincided with the coronation of Queen Elizabeth and a sold-out, one-month engagement in Sonja’s hometown Oslo. For Marshall these were heady times, partnering Sonja, the Queen of the Ice, on her 1st tour of Europe in 1953. Later Marshall had the distinction of partnering Sonja on the last tour of her career in South America with a closing engagement in Rio de Janiero in 1956. 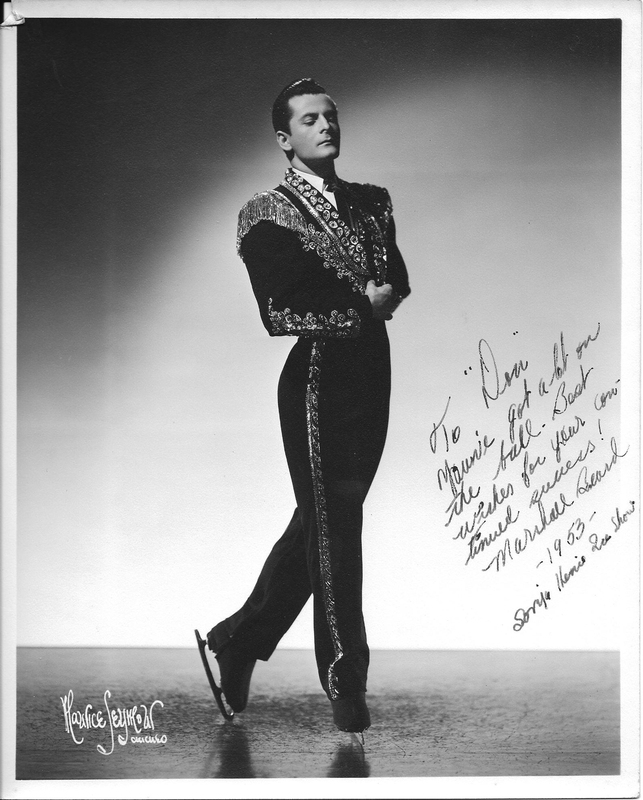 In addition to the Sonja Henie Ice Revue, Marshall also performed over the years in Ice Vogues, Holiday On Ice, Ice Follies, Ice Capades, as well as in pantomimes in Empress Hall, London. He also performed in hotel night club ice shows at the New Yorker hotel in NYC and the Adolphus hotel in Dallas that were popular in the 40s and 50s. 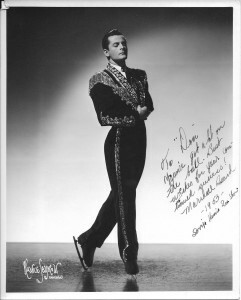 Marshall wrapped up his professional skating career with Ice Capades, performing a family act with his wife, Margaret and her two children, Kathy and Jaime, for several years. As far as show skating was concerned you could say that Marshall “did it all” and mostly at a time when the popularity of ice shows was at its peak. Now almost all of these ice shows have disappeared and are a part of ice show history. Following his successful touring days, Marshall found further success for some 40 years as a realtor in Lake Arrowhead, CA. Marshall sold me the lot where I built a small cabin and spent summers there in between tours, enjoying many barbecues and get-togethers with Marshall and his wife Margaret and with visiting show skating friends.